TME has introduced the sets with miniature drilling machines and accessories as well as separate accessory sets for the EVERISE micro electrotools to its range of products. We propose two kinds of drilling machines: with AC supply (gun version) and with battery supply (line version). The drilling machines have the function of smooth speed control thanks to which it is possible to adjust their speed to the type of job. The sets for micro electrotools contain among others: cutting disks, polishing wheels, sanding bands, grindstones, brushes, drills etc. 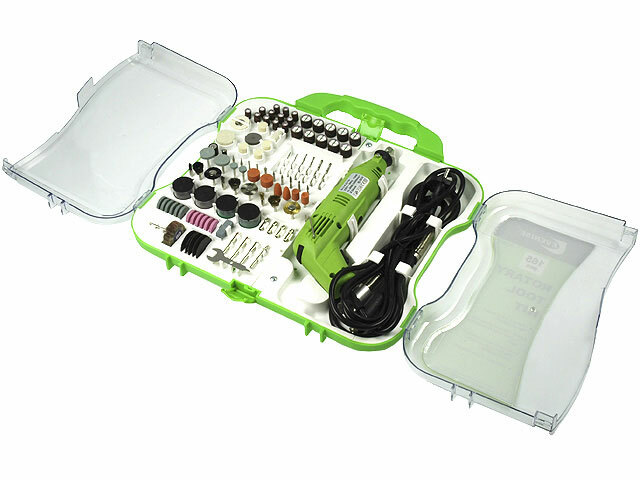 The miniature drilling machines together with the accessories sets are perfectly suitable for the following works: cutting, cleaning, milling, engraving, polishing, sculpturing, grinding and drilling.